BlOSSOMING D.C. LABEL CHUB RUB RELEASED YET ANOTHER EP TODAY, THIS TIME FROM BRAZILIAN RISING STAR CAIQUE CARVALHO. The two-track banging Tech House EP, titled Inside, serves as Carvalho‘s debut on the year-old Chub Rub label. And if this introduction is any teller of his talent, River Beats is excited to hear more from Carvalho in the future. 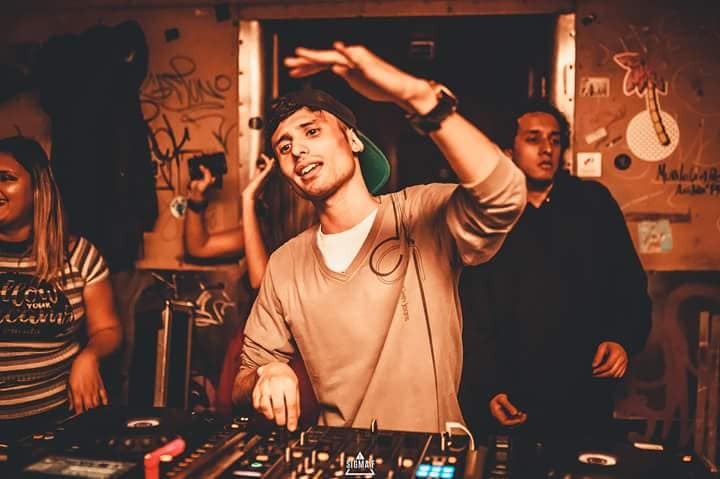 Brazilian tech house guru Caique Carvalho makes his debut on our imprint with the 'Inside' EP: two raging tech tunes covered in the sauce. Listen today: fanlink.to/CHUB007. With sounds from both VIEGAS and Carvalho, the title track, “Inside,” is deserving of your funkiest dance moves. Featuring traditional House tones and a distorted vocal layered flawlessly over a driving bass line, this track is sure to dominate at any show or party. “Make it Last,” the second track on the EP, gets a bit – well a lot – weirder than the first. Seamlessly weaving warped spacey sounds with a bouncing bass line, Carvalho successfully created a unique, bizarre track worthy of being blasted on repeat. Although Chub Rub is fairly new, they are a label to keep an eye on. Having already signed names like Dirtybird’s Danny Kolk and Ed Lee in their first year, there is no telling what is to come from the fun-loving D.C. label. Want to learn more about Chub Rub? Read River Beats’ exclusive interview with label creator Zach Eser (zacheser) here.